Becoming a master negotiator is easier than you think! 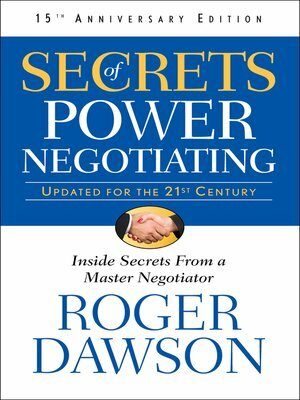 Award-winning negotiation expert Roger Dawson shows readers how to ask for—and get—what they want. Dawson's insider guide "should be required reading for anyone who deals with people" (Ken Blanchard) and is an essential tool for learning the tricks of the trade—and avoiding being tricked yourself.